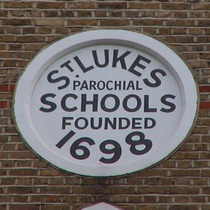 St. Lukes Parochial Schools founded 1698. The facade of this building tells the history of the school. Each of the 4 gable ends carries a plaque with a dated event, reading from left to right: 1887, 1698, 1972, 1870. Lower down are two, more decorative plaques, commemorating two treasurers, left to right: Pedder and Telfer. A book exists: History of St Luke's School by M. Routledge, 1989. Removed from Golden Lane to this site, 1870. 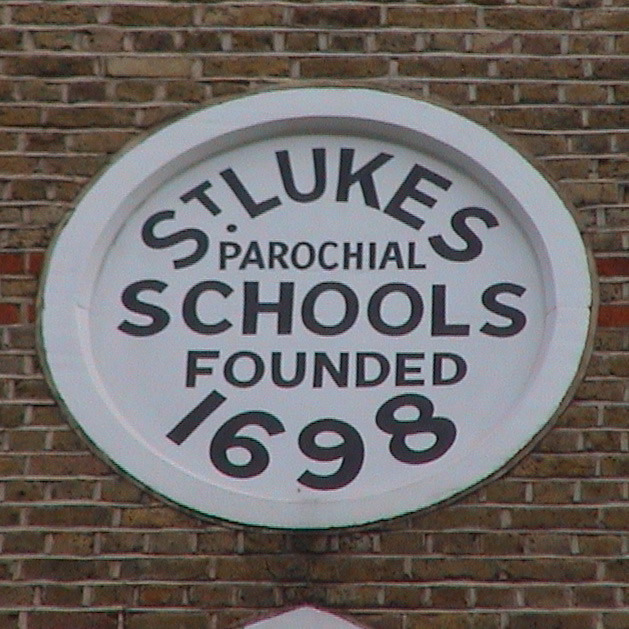 St. Lukes School moved from this site 1972. Unitarian Chapel - Stamford St.
On this site stood the headquarters of the London Salvage Corps, 1907 to 1960.